This Plastic Stacking Armchair is built with a chrome-plated steel frame and durable plastic seat and back which make it a side chair that is comfortable and sturdy enough for any purpose. Ganging device included with the chairs at no extra charge. These chairs are perfect for use with the OFM Training Tables. Long Lasting The durable plastic shell on a steel frame is strong and long-lasting. 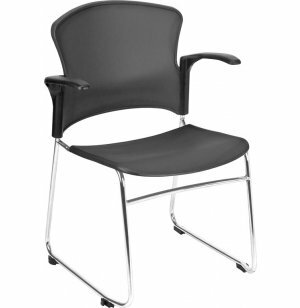 Convenient These chairs come with built-in ganging and can be used as auditorium or lecture hall seating. Chairs stack 4 high. Comfortable Arms are included with the chairs for extra comfort. Arms cannot be removed once installed. 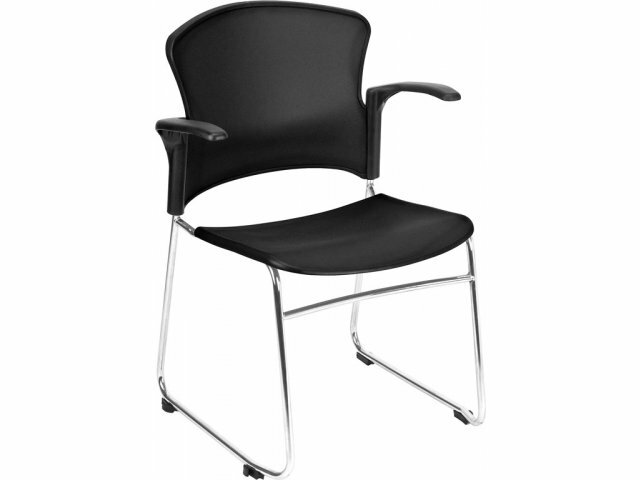 Safe Chairs meet or exceed Ansi-Bifma Safety Standards and have a 250-lb weight capacity.